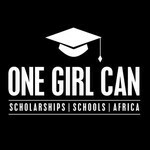 One Girl Can's mission is to empower girls through education to break the cycle of poverty and gender inequality in Kenya and Uganda. Our holistic model supports a girl from the time she leaves primary school, until the day she gains meaningful employment. We build and rehabilitate girls’ schools in rural Kenya and Uganda. We are committed to long-term partnerships that ensure school infrastructures will continue to support growth and provide a dynamic and safe learning environment. Education beyond primary level in Kenya and Uganda is not free. We provide secondary and university scholarships for girls with the greatest need and highest potential. This support ensures girls continue their education and never miss a day of school due to poverty or cultural pressure. The impact of educating girls in underdeveloped countries is immediate. These girls will help lift their families out of poverty and begin to shift the needle on economic growth and gender imbalance.